Chapel Hill, NC – Researchers at the University of North Carolina at Chapel Hill and collaborators in Nicaragua have been given a five-year, $2.7 million R01 award from the U.S. National Institutes of Health (NIH) to better understand the epidemiology of Zika virus in pregnancy and the impact the virus has on infant neurodevelopment. "We do not have a lot of data about Zika virus because it is an emerging infection," said Elizabeth Stringer, M.D., M.Sc., the study's principal investigator and an associate professor of maternal and fetal medicine in the UNC Department of Obstetrics and Gynecology. 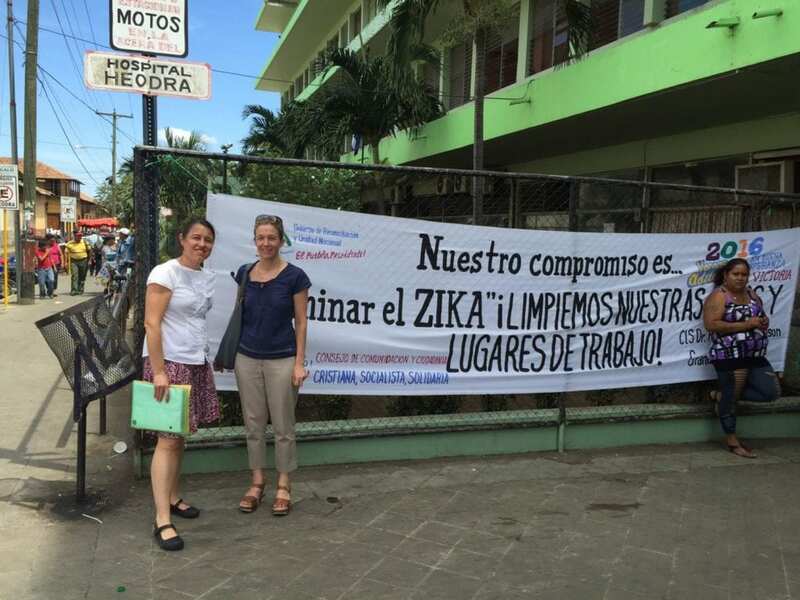 "During this study, we will follow up with infants exposed to Zika in Léon and Managua, Nicaragua." Stringer will work with UNC colleagues Sylvia Becker-Dreps, M.D., and Aravinda de Silva, Ph.D, as well as Filemon Bucardo, Ph.D, and other collaborators at the University of Nicaragua (UNAN) in Léon. This current study will build off of a pilot study funded by UNC's Office of Research. Stringer and colleagues collected blood from pregnant women during the peak of the Zika outbreak in 2016 in Nicaragua. When the women returned to deliver their babies, blood was collected again and cord blood was also saved. "We know Zika causes microcephaly in infants, but what other neurodevelopmental problems exist?" Stringer said. "We will check the infants' neurodevelopmental function through the use of the Mullen assessment as well as the Ages and Stages Questionnaire, and have a pediatric ophthalmologist conduct eye exams." This project is funded by the NIH's Eunice Kennedy Shriver National Institute of Child Health and Human Development.